Australian brother-sister duo Broods will be returning to North America for a new set of tour dates starting next week. Supporting their amazing debut album, Evergreen, Georgia and Caleb Nott will include support from Mikky Ekko for half of the tour and Erik Hassle (who has an interview featured here on the Rock Subculture Journal) for the other half. 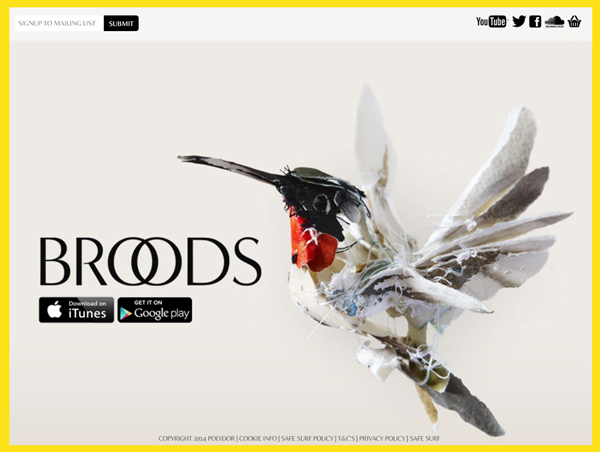 I ranked Broods’ Evergreen as one of my Top 10 albums of the year, their self-titled EP as my favorite EP of the year, one of last year’s shows one of my Top 10 concerts of the year, and their single, “Bridges”, as my #1 Song of 2015. The Rock Subculture Journal covered two shows last year – the concert in San Francisco in May and the event in Sacramento in August. Rock Subculture Journal plans to cover the show at The Regency Ballroom in San Francisco.